Grounds: Hope Street; Randyford Park; Blinkbonny Park; 1885, Brockville; 2003, Ochilview Park (groundshare with Stenhousemuir); 2004, Falkirk Stadium (Westfield). Joined Scottish League 1902. Second Division (II) 1902/03-1904/05; First Division (I) 1905/06-1934/35; Second Division (II) 1935/36; First Division (I) 1936/37-1938/39; A Division (I) 1946/47-1950/51; B Division (II) 1951/52; A Division (I) 1952/53-1955/56; First Division (I) 1956/57-1958/59; Second Division (II) 1959/60-1960/61; First Division (I) 1961/62-1968/69; Second Division (II) 1969/70; First Division (I) 1970/71-1973/74; Second Division (II) 1974/75; Division One (II) 1976/77-1977/78; Division Two (III) 1978/79-1979/80; Division One (II) 1980/81-1985/86; Premier Division (I) 1986/87-1987/88; Division One (II) 1988/89-1990/91; Premier Division (I) 1991/92-1992/93; Division One (II) 1993/94; Premier Division (I) 1994/95-1995/96; Division One (II) 1996/97-2004/05; SPL (I) 2005/06-2009/10; Division One (II) 2010/11-2011/12; Championship (II) 2012/13-date. Scottish Cup Winners (2) 1912/13, 1956/57, Runners-Up 1996/97, 2008/09, 2014/15. Scottish Challenge Cup Winners (4) 1993/94, 1997/98, 2004/05, 2011/12. Scottish League Runners-Up (2) 1907/08, 1909/10. Scottish League Division One Champions (II) (4) 1990/91, 1993/94, 2002/03 (not promoted due to ground issues), 2004/05. 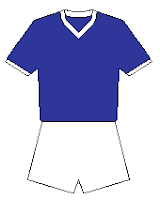 Scottish League Second Division Champions (II) (3) 1935/36, 1969/70, 1974/75 (not promoted due to league re-structure). Scottish League Division Two Champions (III) (1) 1974/75. UEFA Europa League entrants (1) 2009/10. Willie Cunningham was Falkirk manager from 1968-1972. Scott Gibb has won youth caps while with Falkirk and was a member of the 2007 Milk Cup squad.